I have great news to share today! I'm very grateful to be part of the Nov/Dec issue of Somerset Studio with my Advent Calendar!! Don't forget to read Jenny Doh's Editor's letter. Such a beautiful, inspiring letter may I say. If you haven't gotten your copy I suggest you run to your nearest bookstore and get one. See? That's my name on the cover! 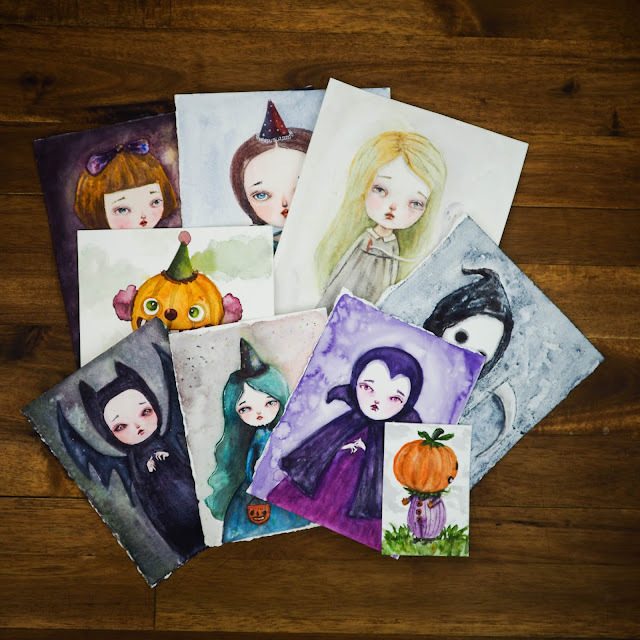 I have prints available of the calendar and I'm working on a special edition magnetic wood block with dolls... let's see how this turns out and I'll let you know ;) The whole issue is so beautiful and full of the Holiday's spirit... which by the way, put me on the mood for some Holiday art! 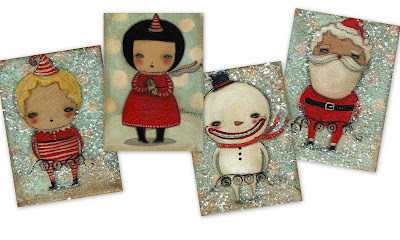 Mini originals now available at my shop (with lots of vintage mica for a festive look). And my newest soft doll, available at PFATT Marketplace. 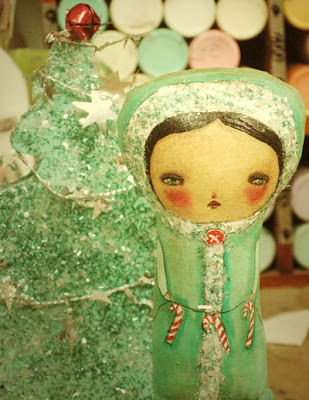 She's ready to decorate her glittery tree and is waiting for someone to take her home! Congratulations! The article looks very nice!! The mini originals are beautiful, and the soft doll is wonderful!!! Wow Danita! Your advent calendar is so magical...Congratulations on the feature in Somerset! Great news! Can't wait to get the magazine! Congratulations! You are rockin' Somerset! Congratulations- I saw the article! Felicidades por éste artículo. Y que bonito calendario tienes!! OK, Off to Borders again! Girl you are in EVERYTHING! Your doll's are very special - whimsical, folksy...so charming. And I love the gratitude message for your Advent Calendar too. ¡¡Felicidades Danita!! Me alegro de esa publicacion. 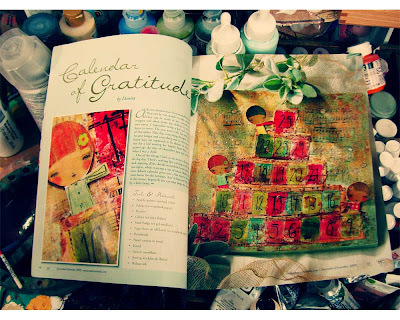 Congrats for making the cover of Art Quilting Studio!Great article. I'm in there too....doin' the happy dance. 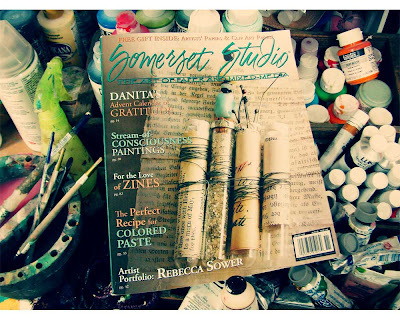 Had to get myself to the book store so I could purchase the Nov/Dec 2009 issue of Somerset Studio. I'm such a fan of your work. I love the idea of creating a calendar of gratitude.